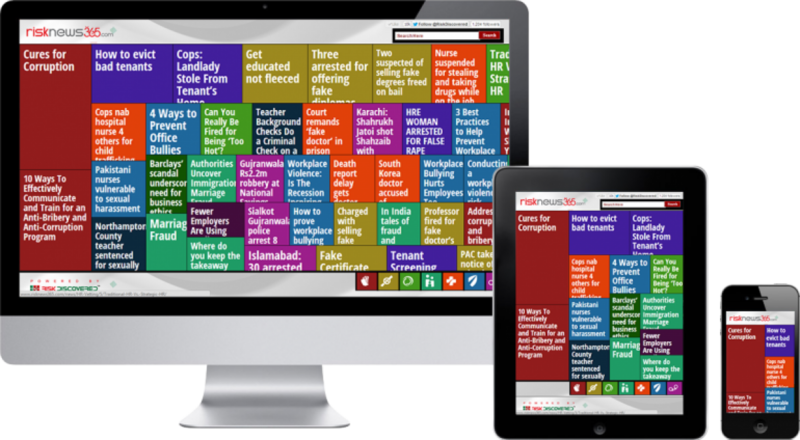 RiskNews365.com is a free product that collects risk news data and displays popular news in a more organized and graphical way much like a portal system. So, their clients and the public in general gain access to the most popular risk news from around the world via a single screen. We have enhanced their work by developing a clever user interface that automatically pulls news from the company’s blogs portal representing it in a way that projects the more popular news of the day in the most highlighted aspect. This takes the user directly to the news article of a particular news website by just a single click.